I was recently having lunch with my team and loved a story that one of them was telling about the power of Asking. I thought this would be a great one to share with you all for inspiration! “I was in the process of having an old pair of diamond earrings redesigned and repurposed by my local jeweler. It was a creative and careful venture, but it did cost a fair amount to work with the jeweler on this. Although I had a balance pending, I was delighted to do it as a small investment to bring something old to something sparkly and new. 7 days later, I got the call the earrings were ready for pick up! Before I was about to drive to the jeweler to pick up the earrings, I realized I had another diamond necklace and diamond earrings sitting my jewelery drawer that I never wore. They were gifts from a broken relationship and only brought sad memories for me, therefore I would never wear them and I kept them in their boxes at the bottom of the drawer. These two pieces were purchased by this jeweler and they were still very beautiful. I asked myself, “if I returned these pieces, I wonder if the jeweler might take them back and give me a modest credit to reduce the balance of my newly renovated earrings” But just at that moment, a feeling of fear and doubt flashed before me, and I started to ask “what if that’s corny and cheap and looks a little desperate. What if they say no way!! I’ve had these pieces for years and now I want a selfish credit in return, who do I think I am asking for such a request?” I had to sing Jack’s mantra “oh what the heck go for it anyway! !” A silly fearful thought almost caused me to talk myself out of asking a small question to my jeweler. What if I asked and the jeweler said no, we don’t do that? Big Deal!! What if he says YES!! Success Principle #17: Ask! Ask! Ask! Take time now to make a list of the things that you want that you don’t ask for at home, school, or work. Next to each one, write down how you stop yourself from asking. What is your fear? Next, write down what it is costing you not to ask. Then write down what benefit you would get if you were to ask. Then get out there and start asking! Don’t assume that you are going to get a no. Take the risk to ask for whatever you need and want. If someone says no, you are no worse off than when you started. If someone says yes, you are a lot better off. Just by being willing to ask, you can get a raise, a donation, a room with an ocean view, a discount, a free sample, a date, a better assignment, the order, time off, help with the housework, etc. Teresa’s example above is such a wonderful example of the power of Asking. The Success Principles is a roadmap for anyone—from marketing professionals to small business owners, and from teachers to students and parents—striving to achieve their professional and personal dreams and goals. 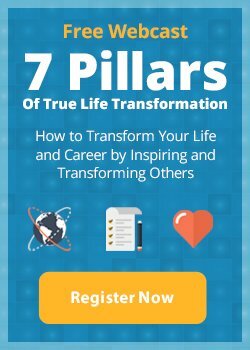 Touching on every aspect of our lives, Jack Canfield offers 64 practical and inspiring principles to get any aspiring person from where they are to where they want to be. Get your copy here.